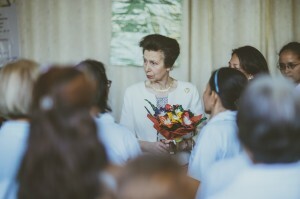 Her Royal Highness Princess Anne listening to stories of TSPI women entrepreneurs about the impact of microfinance in their lives and businesses. HER ROYAL Highness Princess Anne of Great Britain was recently in the country for a series of visits to strengthen relations between the two countries. This is the Princess’ second visit to the Philippines since March 1999. Her Royal Highness discussing with TSPI Executive Director Eduardo Mendoza at a recycling center in Taguig. Opportunity International's Mark Daniels and Philippa Walker look on. children’s lives and generate income and livelihood for women. Part of her visit was a meeting with clients of Tulay sa Pag-unlad, Inc. (TSPI) composed of women microentrepreneurs from Taguig City. Her Royal Highness observed the clients’ Center Meeting and listened as the women entrepreneurs discussed how the access to microcredit provided to them by TSPI has brought significant impact to their businesses and to their lives in general. 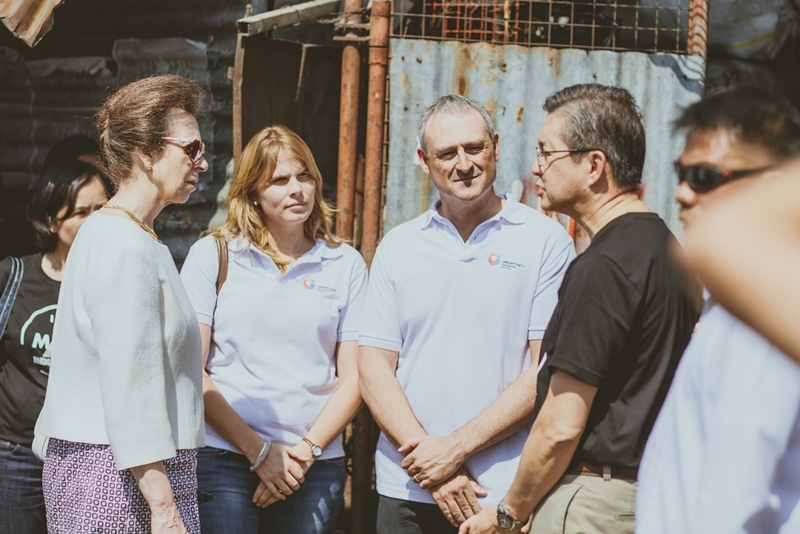 Present during the visit to receive the Princess Royal were Mr. Mark Daniels, Opportunity International’s Philippines Country Director, Mr. Eduardo Mendoza, TSPI’s Executive Director, and a few of TSPI’s Board of Trustees and Senior Management. This article was written by Ms. Joanne G. Fajardo, TSPI’s Marketing Communications Supervisor.